We are in that phase now of Hillary Clinton pandering to what she understands the base is, while Bernie Sanders has a very different base, American author and former US congressional candidate Norman Solomon told RT. RT: Bernie Sanders is in second place now not far from Clinton. How do you explain his rise in popularity over the year? Norman Solomon: It’s grass roots politics, it is progressive democratic organizing, it is from the bottom up, it is a progressive kind of populism that I think we need a lot more of, which is people’s willingness to say that money should not buy elections, should not buy the White House. So, it really is an example of ‘people’s power’ to organize from the bottom up. A lot of small donations are not dependent on the big donors at all. And it is quite a contrast to the usual pathway to the White House. And certainly a sharp contrast with Hillary Clinton. RT: Can you tell us more about the campaign styles of the various candidates? We have heard Hillary Clinton start sounding similar to Sanders for instance. NS: While the rhetoric, especially in the primary season when the caucuses and primaries take place, the Democratic party historically sound more progressive than the same candidates do after one of them is nominated, where there is then an attempt to sound more centrist. And if elected as in the case of Bill Clinton or Barack Obama, a Democrat then reaches far across the aisle - and I would say far too often - to accommodate and become one with very corporate and often militaristic policies. We are in that phase now of Hillary Clinton pandering to what she understands the base is. Hillary Clinton’s real constituency that has been the most crucial for her from the get-go has been Wall Street big bankers, huge wealthy interests, corporate powerful institutions in the US and the military-industrial complex. And that is really her anchor as she sails off to continue this campaign. Bernie Sanders has a very different base, a very different constituency. 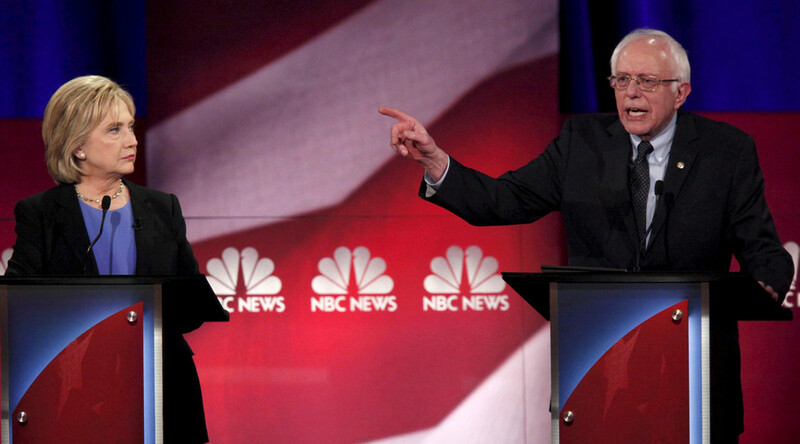 And that’s what this battle is about in Iowa and will be about next week in New Hampshire. RT: Clinton is the presumptive frontrunner but it seems that people are liking Sanders more. What are your thoughts? 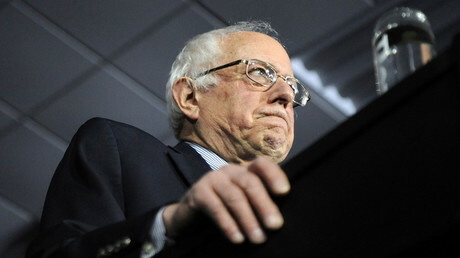 James Lark from the Department of Statistics at the University of Virginia: If there are two states where Senator Sanders ought to be able to find a sympathetic message in the Democratic Party, it would be Iowa and New Hampshire; neither state is representative of the US with respect to demographic make-up. And if there is any place where the Sanders message is going to resonate it is going to be in Iowa and New Hampshire. And indeed if he were to fail to win Iowa, I think that that’s a sign that if he can’t do well in Iowa, I am not sure that he is going to do well in other states where the demographics are very different. RT: Has Clinton changed her views to cater more to the far-left base? Can you attribute her changing views to the popularity of Bernie Sanders? JL: In a sense, yes. But that’s not terribly surprising in primaries it’s not unusual for a candidate who stakes out a very strong ideological position that is congenial to the general base of that party to see the other candidate move in the direction of closing the distance. If Secretary Clinton were to win the nomination of the Democratic Party, I think you would see her moving back towards the center and away from some of the rhetoric that would perhaps gather votes for her in Democratic primaries, but are not necessarily going to be very popular or at least as popular in a general election.